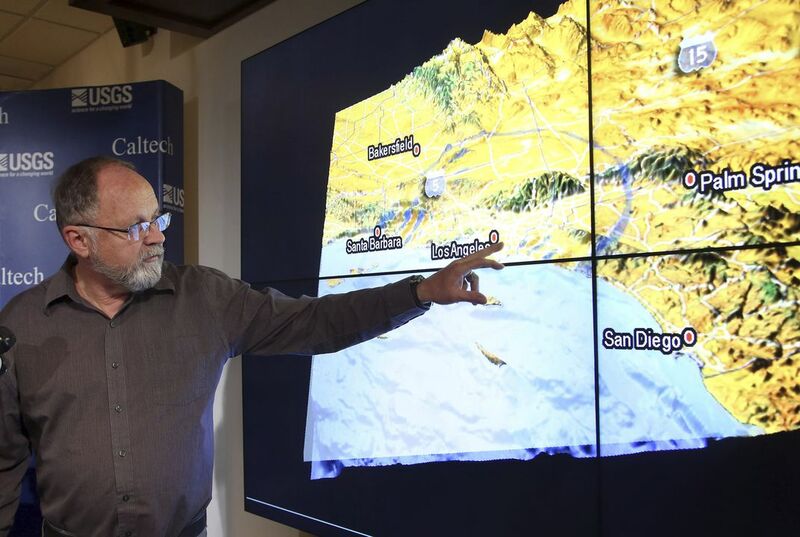 An earthquake fault runs from San Diego Bay to Los Angeles. It is in Southern California. The fault is capable of producing a magnitude-7.4 earthquake. That could affect some of the region's most densely populated areas. This is according to a study released March 7. The study looked at the Newport-Inglewood and Rose Canyon systems. These previously were thought to be separate. The researchers concluded the systems actually form a continuous fault. It is underwater. It runs from San Diego Bay to Seal Beach in Orange County. On land, it runs through the Los Angeles basin. The fault poses a significant hazard. It could impact coastal Southern California and Tijuana, Mexico, according to the study. It could produce up to a magnitude-7.3 quake if the offshore segments rupture. It could be a magnitude-7.4 quake if the onshore segment also ruptures. The study was conducted by Scripps Institution of Oceanography. It is at the University of California San Diego. Even a moderate quake on the fault could have a major impact on the region. That is according to Valerie Sahakian. She is the study's lead author. 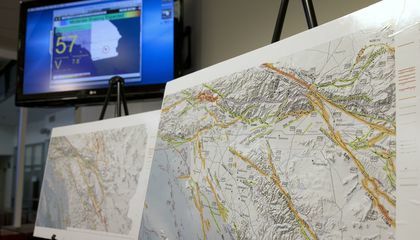 "This system is mostly offshore but never more than four miles from the San Diego, Orange County, and Los Angeles County coast," Sahakian was quoted in a press release from the American Geophysical Union. The fault's most recent major rupture occurred in 1933 in Long Beach. It produced a magnitude-6.4 earthquake. It killed 115 people. The study looked at data from previous and new seismic surveys. These included sonar studies of the offshore fault. Researchers looked at four segments of the fault that were offset. These are known as stepovers. The researchers found the disconnections weren't wide enough to prevent the entire offshore section of the fault from rupturing. Researchers also looked at the onshore segment of the fault. They concluded that there have been three to five ruptures in the past 11,000 years along the northern section. One quake occurred about 400 years ago at the southern end. Researchers at the Nevada Seismological Laboratory assisted with the study. It was funded by Southern California Edison. The study was accepted for publication in the American Geophysical Union's Journal of Geophysical Research. Why do so many people live in California, despite the earthquake risk? Some people live in California because of its warm weather and lots of famous people. People also go there for vacations and more. There is also a lot of tourists there because of the famous sights and more. Yes there is a lot of earthquakes but there is so many fun/famous things there that don't worry too much about the earthquakes. I think a lot of people don't even consider Earthquakes when they move to California. They go there for the sun, beaches, good working opportunities, etc. This is because the people want to live near beaches. because it is not close to them. It is closer to the shore than their homes. Also, there is lots more stuff to do, and places to discover. The earthquakes don't bother many tourists, they just want to see great things. Because there are a lot a famous people and many different sight seeing things. They get sucked into these things and they forget the risk of being there.Also its a really warm place they barely get snow. California has a lot going on. There are really pretty views, its warm and so many others. Some people move there for those reasons and then their whole or parts of their family goes too. because its warm and lots of fun things to do there. so they despite the fact of the earthquake. Lots of people risk living in california because it is a big city with lots of celebs and fun things to do, they don't care about the risk they just want to live life. Also lots of people have grown up their so it's their home and they don't want to leave their family. They want to live in warm weather and for the famous people that live their.